Couldn't get a better view of the eyes, but I think it only has 6 not eight. 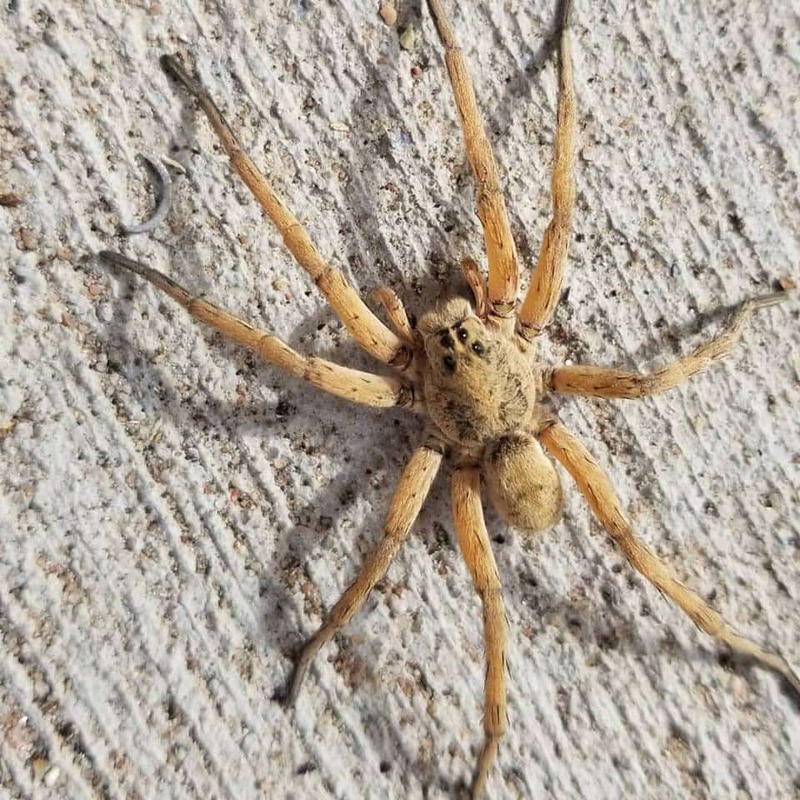 Weird color for it to be a wolf spider, plus the furry body, color and the shape of the body seems off to be a wolf spider. Maybe it is though. Also, the size is roughly a 50cent piece, pretty big for a spider. No web nearby. Hi, it might be Tigrosa annexa. I’m mainly going by location and the small abdomen and thick legs. Check out the article on Spider Eye Arrangements on Bugguide.net. Not all spiders have 8. I think yours has eyes like: two big pairs over one row of two small pair that can’t be seen at that angle.